The first independent award that show your customer how well you are performing in comparison to your competitors. All providers will get awarded who are performing very well in comparison to all other providers on a single platform. This means that businesses are awarded where the number of ratings and the ration between positive and negative ratings are above average. 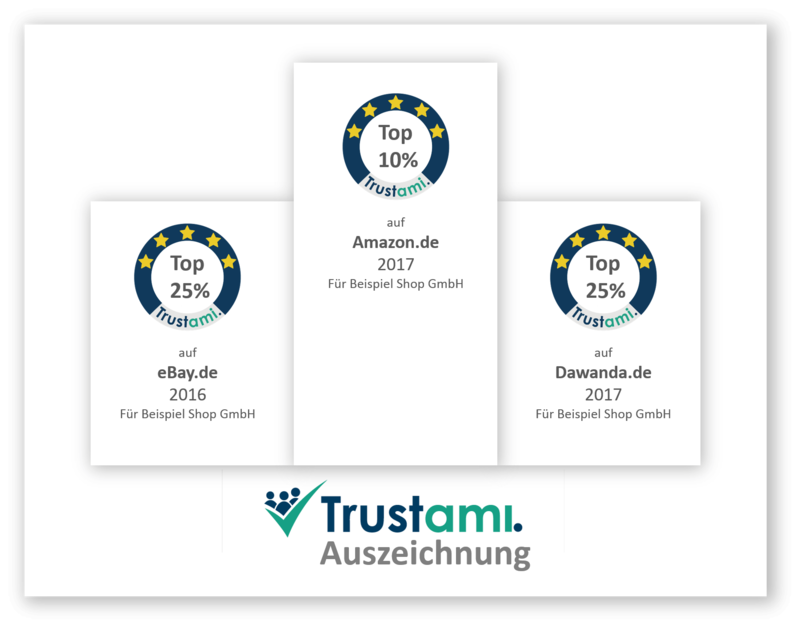 Trustami uses a technology that has been developed in a research project at the TU Berlin that allows to analyze and compare publicly available information on the most common marketplaces periodically. On this basis a statistic comparison is performed and the best providers are identified and awarded. What does the Trustami award says about a provider? Trustami checks comments and reviews over a specific relevant period of time that allows conclusions about a provider. This is the reason why the Trustami award will be given for one month or one year. Through a constant update of our information we ensure that current market developments are taken into account. What does make this award so special? The Trustami award is independent of every single marketplace. We are the first and only company that compares every single provider on each platform without being influenced of the rating system of a marketplace. With our innovative technology we are able to perform statistic evaluations that normally are only the marketplaces capable of. Find out now if you are qualified for the Trustami award!